A telepathic girl is the key to an unknown world--and it's up to her to save it--in the New York Times and USA TODAY bestselling Keeper of the Lost Cities series. The first five books are now available as a collectible paperback boxed set! It turns out the reason Sophie has never felt at home is that, well...she isn't. And as she sets out for a new life that is vastly different from what she has ever known, telepathy is just the first of many shocking secrets that will be revealed. 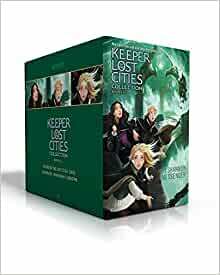 This action-packed boxed set includes paperback editions of Keeper of the Lost Cities, Exile, Everblaze, Neverseen, and Lodestar. Shannon Messenger graduated from the USC School of Cinematic Arts, where she learned--among other things--that she liked watching movies much better than making them. She's studied art, screenwriting, and film production, but she realized her real passion was writing stories for children. 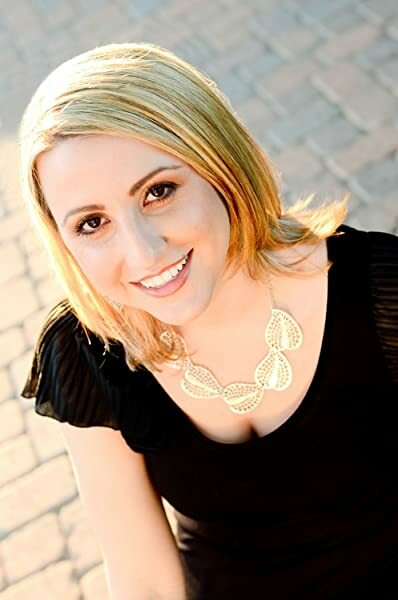 She's the New York Times and USA TODAY bestselling author of the award-winning middle grade series, Keeper of the Lost Cities, as well as the Sky Fall series for young adults. Her books have been featured on multiple state reading lists, published in numerous countries, and translated into many different languages. She lives in Southern California with an embarrassing number of cats. Find her online at ShannonMessenger.com. 5.0 out of 5 starsMy daughter loved it! I read this with my 13 year old and we both are loving it ! Its’ a whole fantasy world like Harry Potter (but different). Elves and goblins and special abilities oh my ! We have bpurchased the whole series and can’t wait for the next ones ! Hurry Shannon Messenger ! This is my daughter's, who is 9, favorite new series. She is an avid Harry Potter fan, but we came across this series in the public library...and we are SO glad that we did. She is obsessed with these books. This was a great price for all 5 books and the excitement on her face, for getting books, was priceless!! 5.0 out of 5 starsGreat series. Appropriate packaging. This was one of my daughter’s favorite birthday gifts and remains her favorite series. The boxed set arrived in excellent condition. We read aloud to our kids and these are exceptionally well written. Excellent story that has lots of plot twist but is also smart and interesting for the adults reading them! Box set is a much better deal than buying individually.